The Multipurpose Hall Project is located in Istanbul. The intent is to provide a new cultural hub for the city. 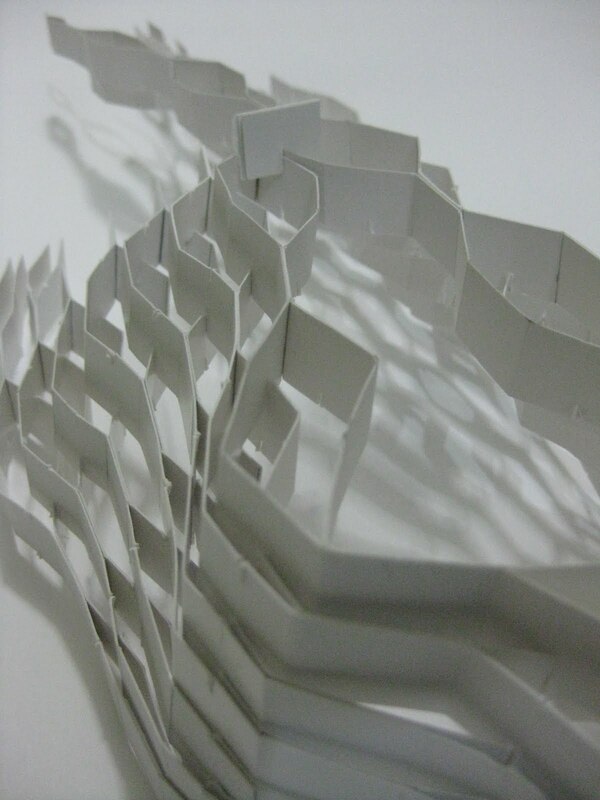 What ParaMaterial interested to explore is the relationships between material, performance & form and interpret this decades’ paradigm of Parametricism. The building responds entirely to the geometry of the site which is irregular and also to programmatic requirements of the project brief. 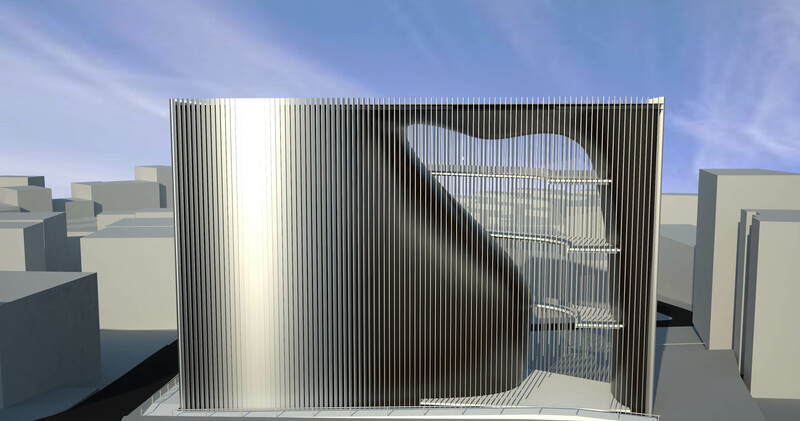 The design of the hall, as a continuous volume, and the facade are generated via computational design tools. The hall which accommodates 1000 seats is designed for various activities including concerts, theatre and dance performances. The building includes additionally side facilities such as an exhibition hall, educational centre, cafes, management and technical facilities and carparks. The volume of the hall becomes the main design element which is also the structural backbone of the building. 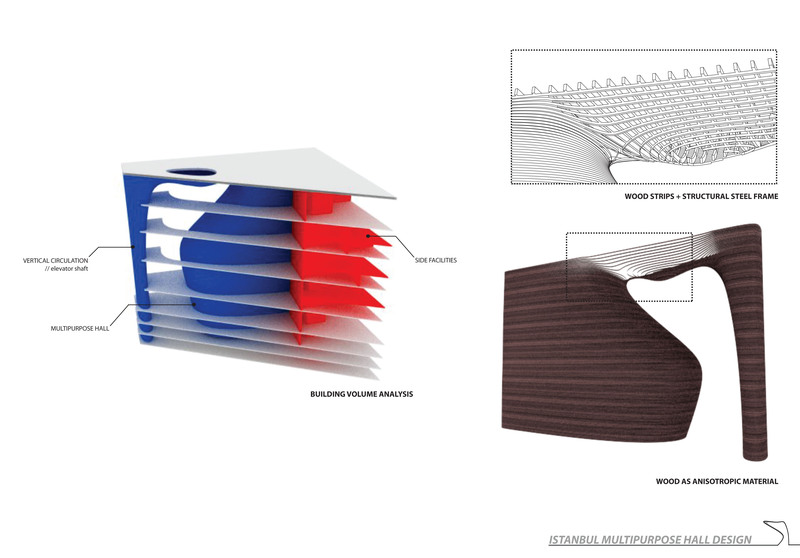 Material systems are able to inform the architectural design process along with computational design tools. 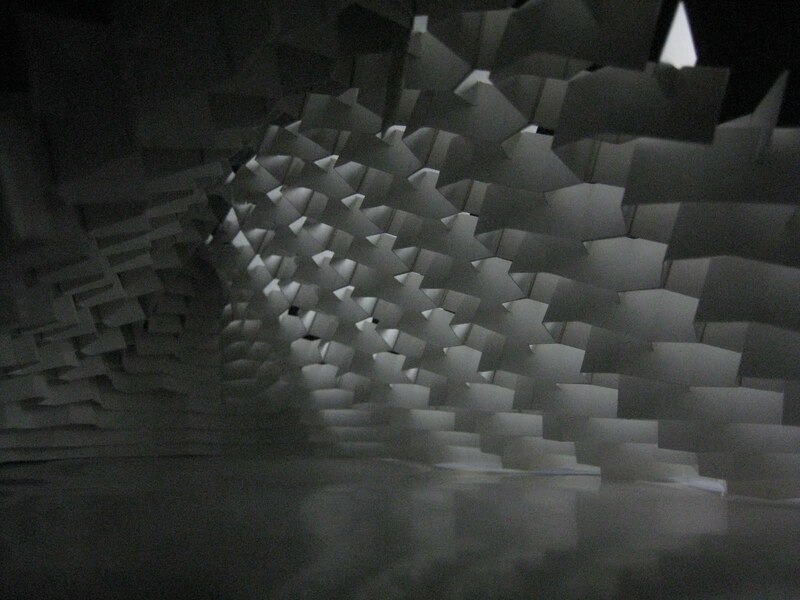 In this approach, the concepts of material, performance and form are inter-dependent and equally important, unlike the common architectural design process. In this project, material systems are the main driver of the design system. 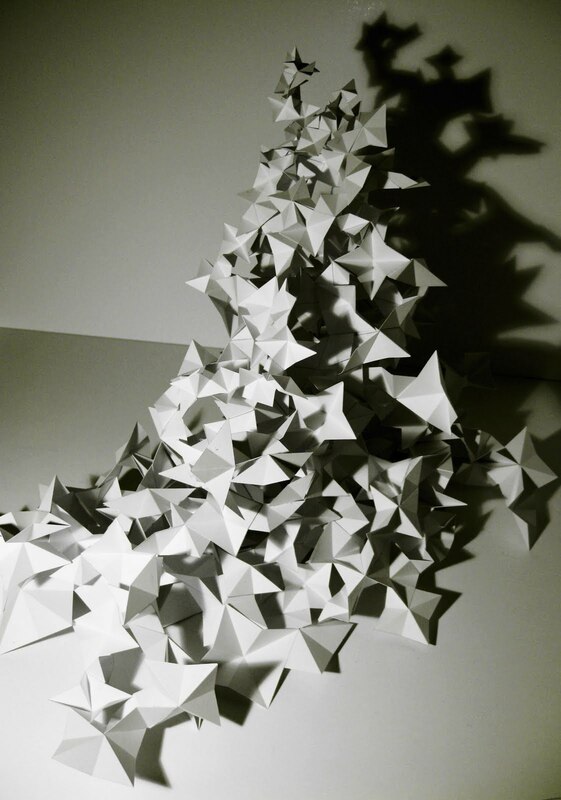 Anisotropy is a material’s directional dependence of a physical property. Wood is a anisotropic material of which properties vary based on the directions of natural fibers of the wood. It has the ability to bend in parallel to its fibers. Because of this particular material property, it is feasible to clad the Multipurpose Hall which has a curvilinear geometry with wood strips. The steel frame system is used as the structural system. In order to extent the concept of continuity driven from the fluid geometry of the interior, steel panels with gradient effect is applied to the facade. 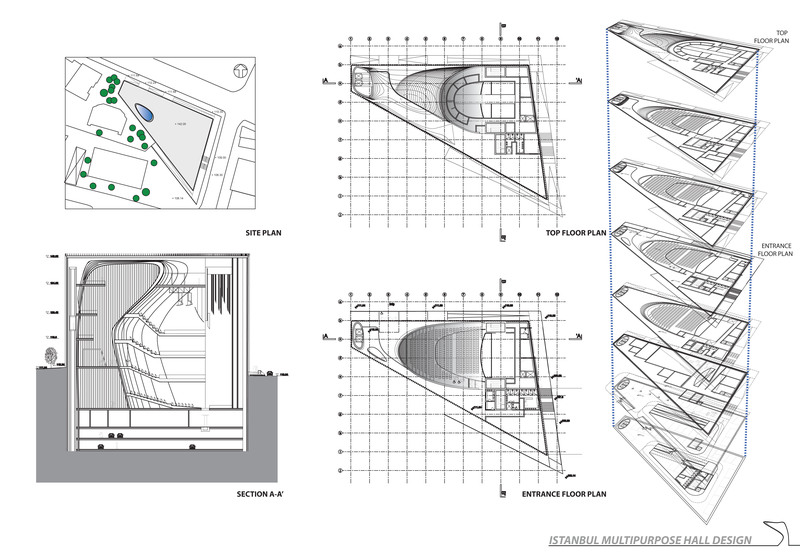 The panels can rotate along their pivots to increase/decrease the visibility on the facade based on programmatic distribution.